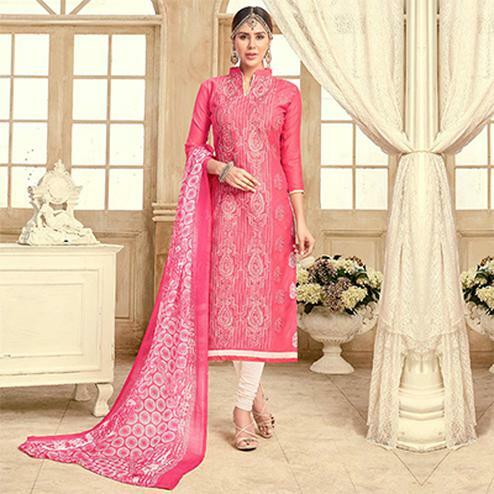 Update your clothing style as per the latest trend with this adorning cream colored suit. This semi-stitched suit is made of cotton fabric which is lightweight and assures the wearer a perfect fit & comfort. 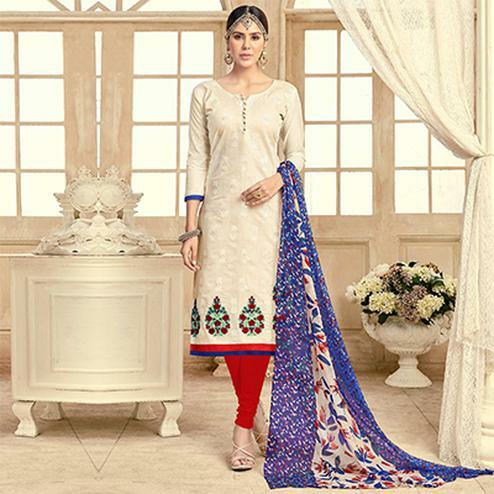 This suit has been adorn with beautiful prints which is sure to match your choice. 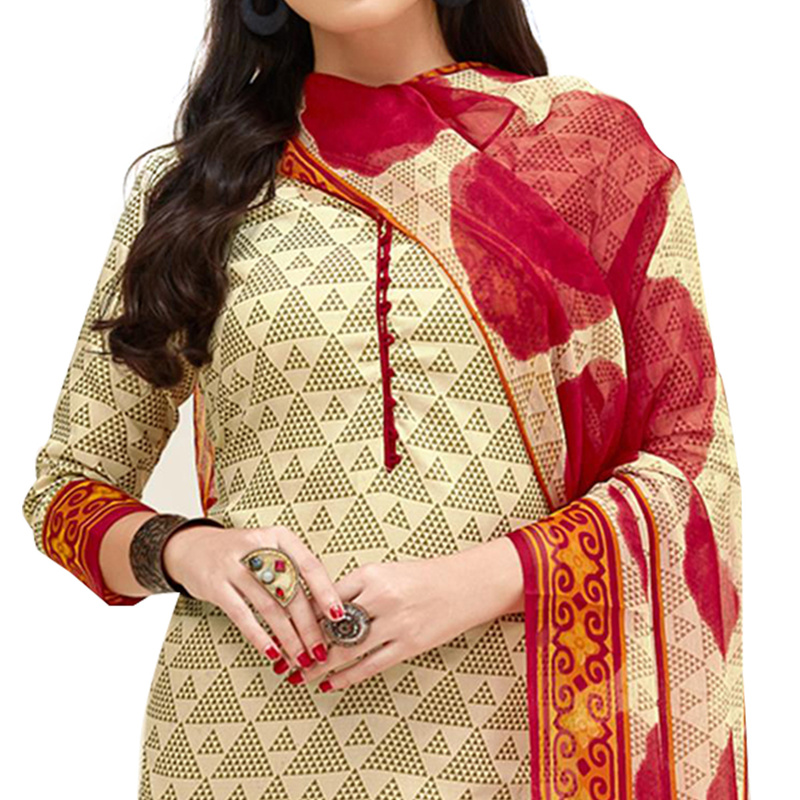 The semi-stitched suit comes along with cotton bottom and printed cotton dupatta. Grab this suit and get it stitched in to salwar or churidar suit according to your fit and comfort. Ideal for office, casual outing, parties and social get together. Team this with a pair of matching earrings and heels for the perfect look.